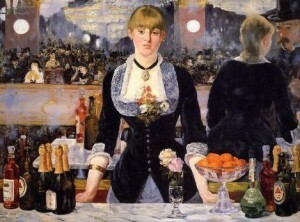 Edouard Manet is sometimes grouped in with the Impressionists of the late nineteenth century art movement, however he was more of a forerunner. Being a decade older than Claude Monet and his contemporaries, Manet’s style did set the tone for the change overcoming the art scene in Paris and with his friend Degas began the shift from Realism to Impressionism. The term Impressionism was coined by a critic who realized the group of artists mostly turned away by the Salon de Paris had in fact founded an emerging new style. Those who were not accepted by the Salon, which was the most prominent and legitimate way to displaying one’s work, started the Salon des Refuses in 1863. 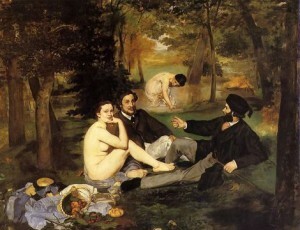 Though some of Manet’s paintings were featured in the Salon de Paris, Luncheon on the Grass(featured below) was deemed too scandalous and was one of the main attractions at the Salon des Refuses. In fact it created so much controversy that it had to be guarded. 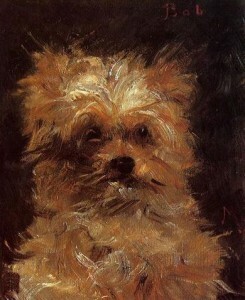 Though he supported the artists and their new style, he did not include himself in the title Impressionist. Like Monet he was from an upper-class bourgeoisie family and expected to follow in his father’s footsteps. Law did not interest him, however, and after failing to make a career in the Navy he took up painting with his father’s begrudged blessing. Manet was sometimes called flaneur, the ‘elegant Parisian stroller’ and did not experience the harsher living conditions of other artists of his time. He was very aware of his position in society and felt his ultimate goal was to have his paintings featured in the Salon de Paris. 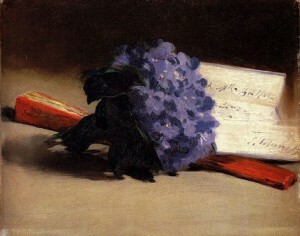 Manet started on a white canvas using ‘sloppy’ brush strokes and sometimes focusing on more trivial objects, which the critics taunted. 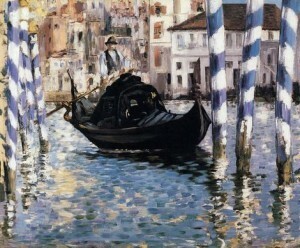 Though his works are mostly of everyday life, Manet also did religious and political works, portraits and landscapes. Below are a few of the 400+ paintings and sketches still existing today. 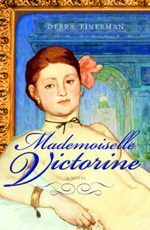 I first read of Manet in a novel titled Mademoiselle Victorine by Deborah Finerman. Though it has been years since I read it, it sticks in my mind because I have not read much from the era or of other artists in the fold. Unlike Stephanie Cowell’s Claude & Camille, there are not many descriptions of how and why the Impressionists formed, but more of the political themes of the day. 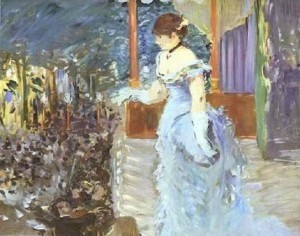 The protagonist, Manet’s muse most famously known from the painting Olympia, became a courtesan to an important political figure. 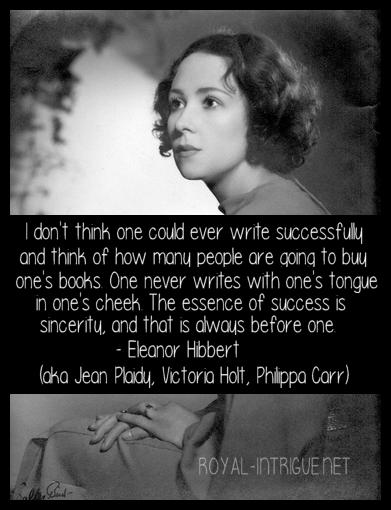 The author has a very nice website: Debra Finerman with more information on the novel. In Claude & Camille you will meet a man who was supportive of Monet and the group of painters, but one who decidedly went his own way and did not court the label of the art movement he invariably started.